I love bartering with my pickled veggies…especially when I get One Screw Loose jellies in return! One Screw Loose jellies are made in small batches in Morrow, Georgia with fun ingredients that are great with cheeses and even more exciting in recipes. 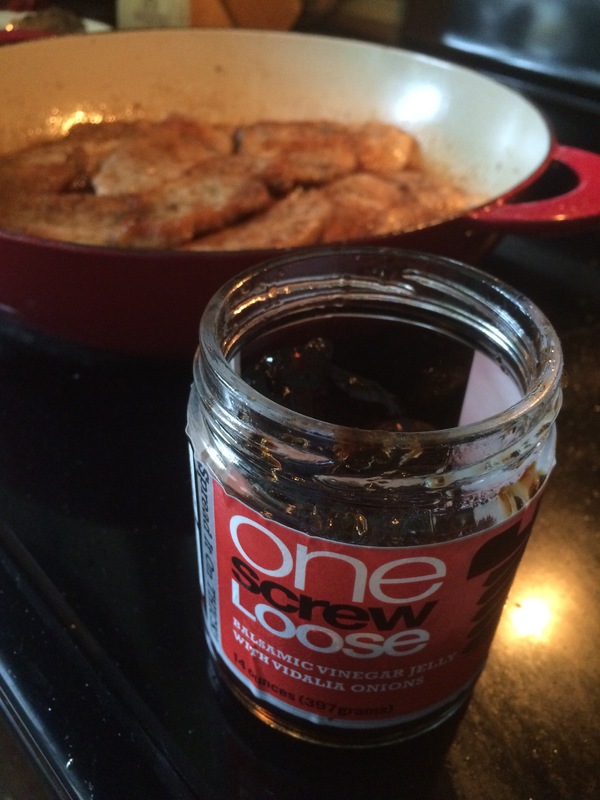 I’d heard their ‘Balsamic Vinegar Jelly With Vidalia Onions’ was especially yummy with pork chops so I gave it a whirl! 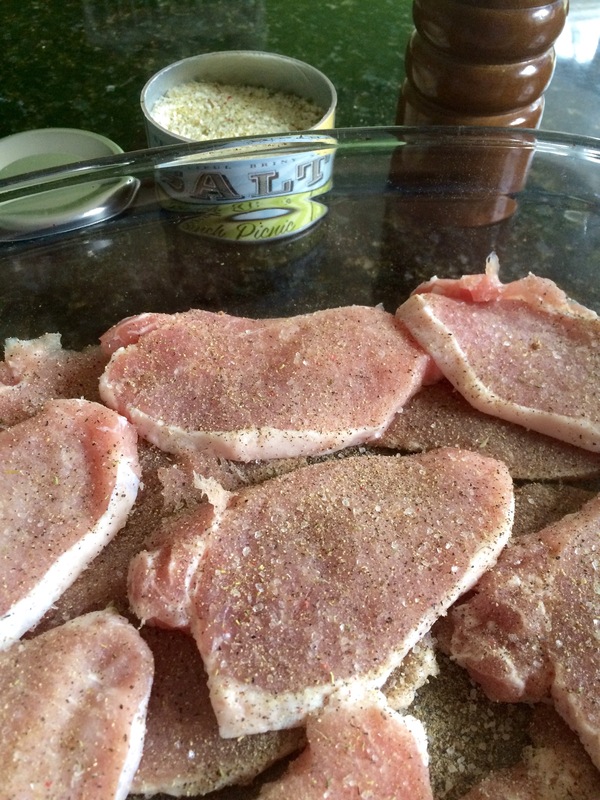 First, I sprinkled both sides of my pork chops with black pepper and a seasoned salt from Beautiful Briny Sea. I love the ‘French Picnic’ variety! 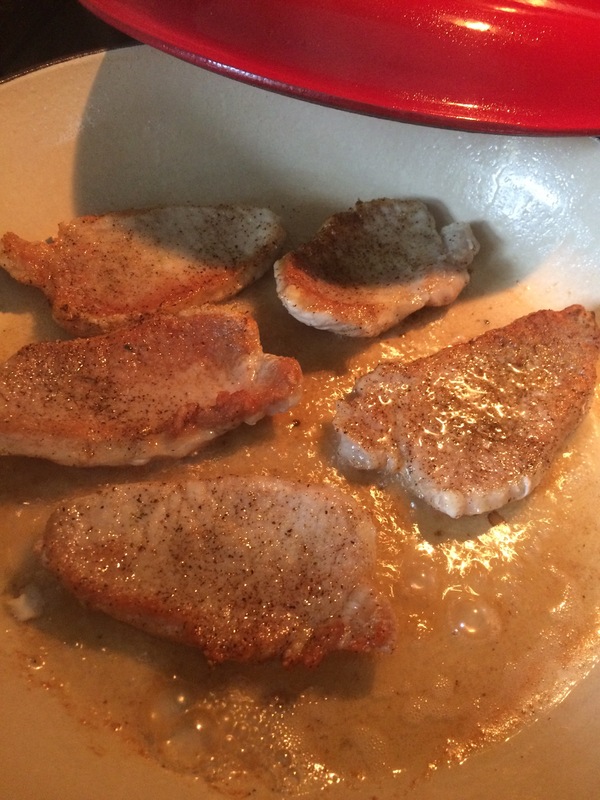 Next, I heated my frying pan to medium high heat with bacon fat and browned the pork chops in the bacon fat 2 minutes on each side. 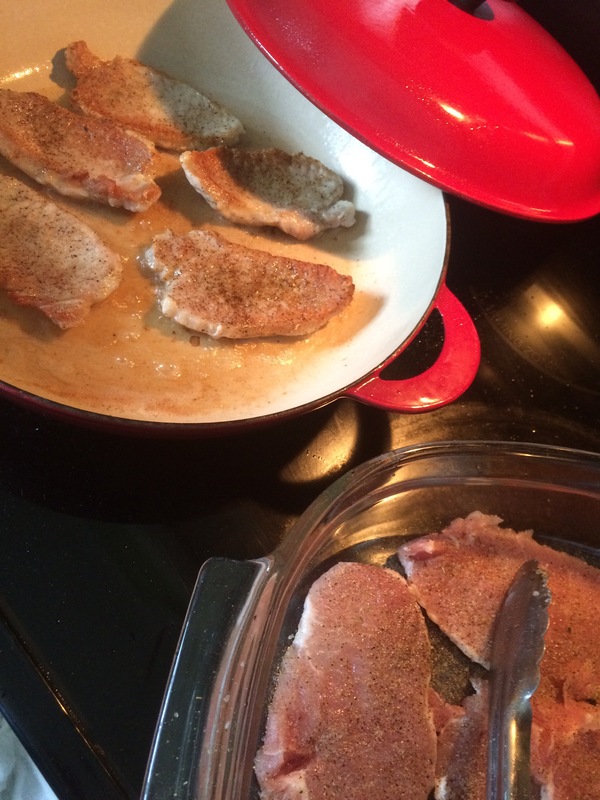 These were thin chops…so 2 minutes per side was plenty for this recipe. Then I removed the chops from the hot pan and placed on a plate. 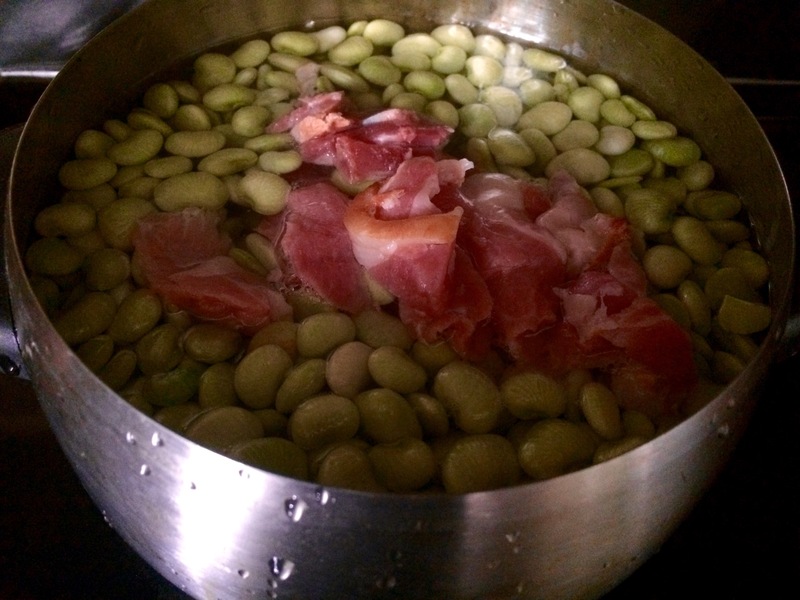 I added 1/3 cup chicken broth to the hot pan and deglazed by whisking up the yummy bits on the bottom of the pan. 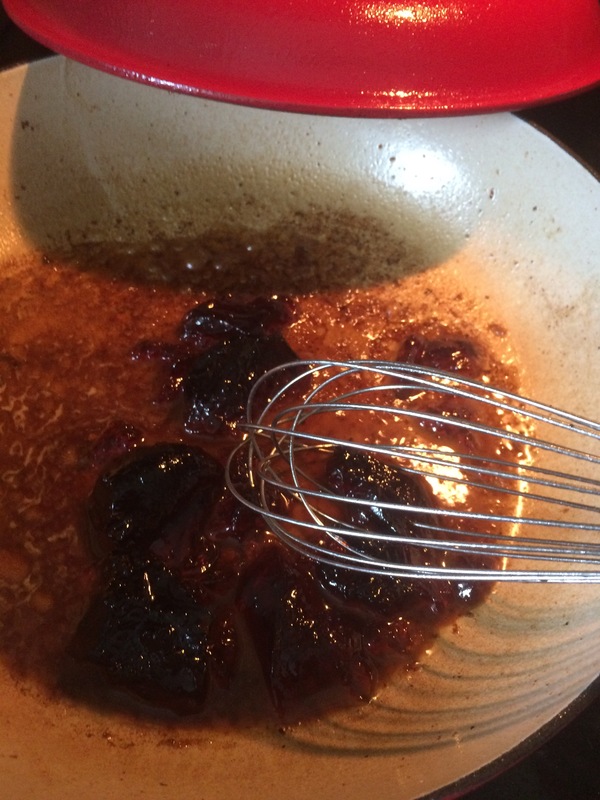 Then I added 1/2 a jar of One Screw Loose Balsamic Vinegar Jelly With Vidalia Onions. I stirred the jelly to help it melt into the broth and then turned the heat down to a low simmer. 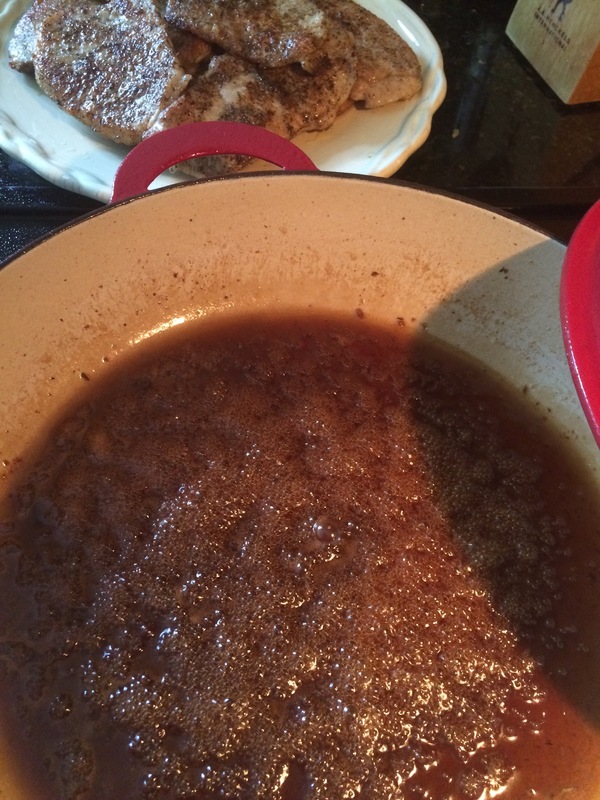 Once the jelly and broth started thickening, I added the pork chops back to the pan…turning them so both sides were coated with the sauce. I let the pork chops simmer in the sauce for 3 minutes and they came out perfectly. 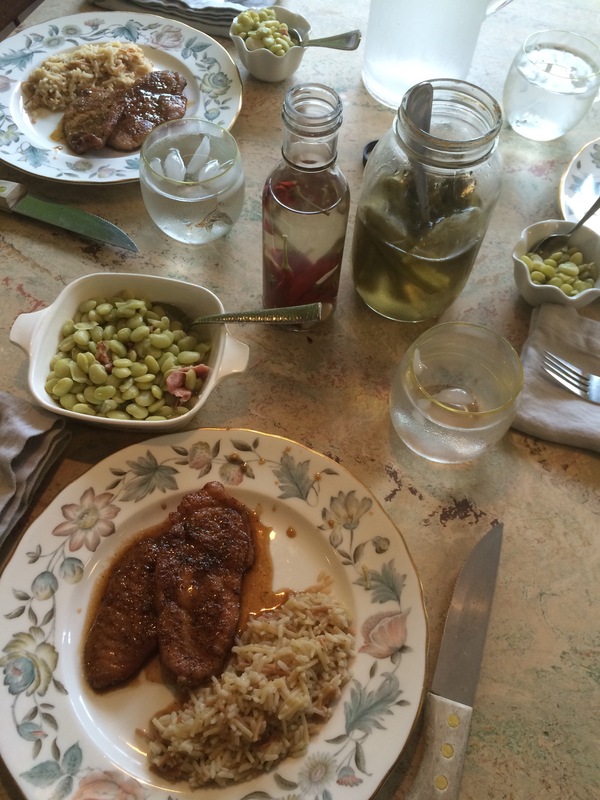 I served the pork chops with baby limas seasoned with country ham and brown rice …for a family pleasing supper…. With our pickled okra and pepper vinegar ’cause that’s just how we roll.